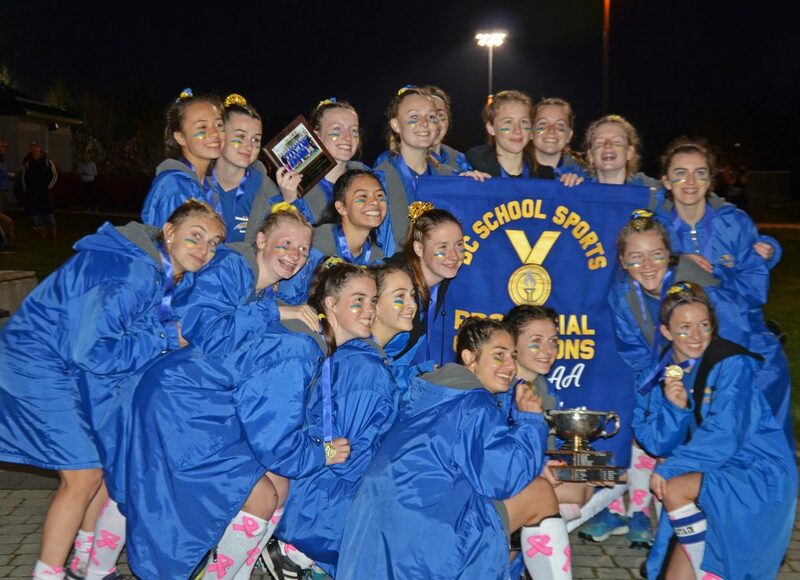 The Handsworth Royals successfully repeated their gold medal victory at the 2018 AAA Provincial High School Championships. The tournament hosted by Clayton Heights Secondary took place from November 14-16, 2018 at Tamanawis Park, Surrey. After the 5th ranked South Delta Sun Devils defeated Oak Bay in their quarter final match-up, the South Delta team was set to face off against the top ranked Handsworth Royals in the first semi-final. Despite an outstanding defensive effort from the Sun Devils, Handsworth took a 1-0 victory to clinch their position in the gold medal game and the opportunity to defend their Provincial title. The second semi-final featured a showdown between Cowichan and Kelowna, both coming into the game undefeated in the tournament. Cowichan came out on top by a 3-1 margin to send them to their first final since 2016. “With the top teams in the province competing in this tournament, every team will be challenged, therefore, everyone will grow individually as an athlete and collectively as a team,” Martin explained. The bronze medal game was a thriller between South Delta and Kelowna. Kelowna took an early lead, but South Delta answered back to make it a 1-1 game. 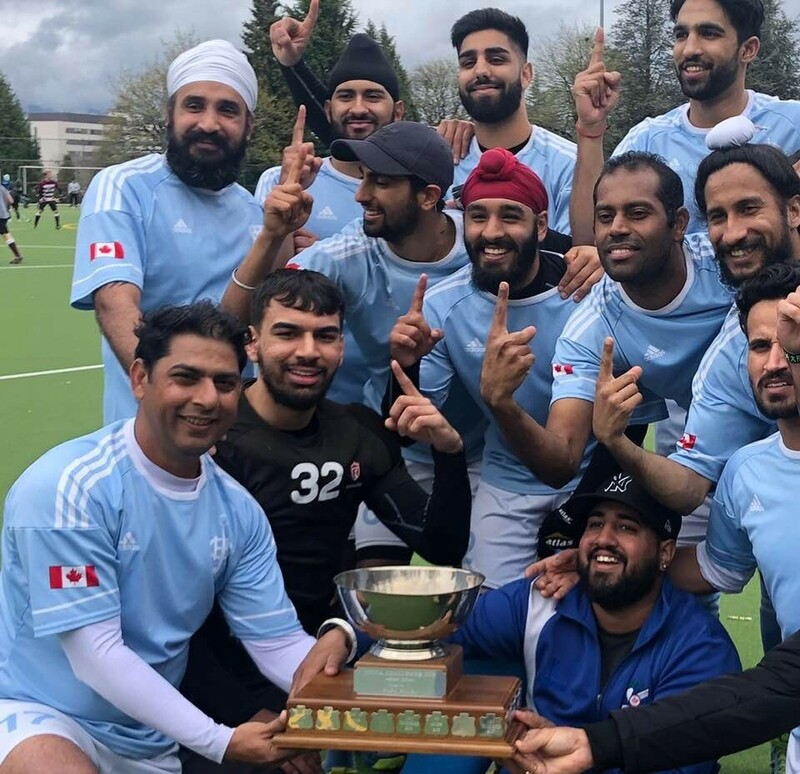 With the two teams still tied at the end of regulation, the game went to a shootout where South Delta prevailed to claim their first podium finish since 2014. In the gold medal game, Handsworth jumped out to an early lead with a goal from senior forward, Tara Hamilton. Handsworth added a second goal to give them a 2-0 lead going into halftime. 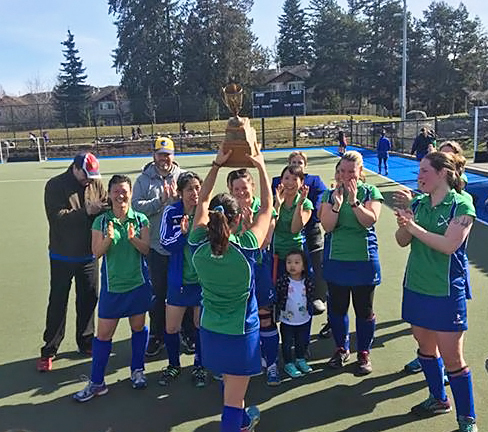 Despite a strong offensive push from Cowichan in the second half, Handsworth held on to take their second Provincial gold medal in as many years. The 2018 Handsworth Royals, Provincial AAA Champions. For a full list of tournament results, visit the AAA Provincial Championship website. Congratulations to all participating teams for an outstanding weekend of hockey! Register for the 2018-2019 Learn 2 Train Program! Registration is now open for the Lower Mainland and Vancouver Island Boys and Girls Learn 2 Train Program! All athletes born between 2006-2009 with some prior field hockey experience are invited to register. Registration will remain open until October 10, 2018 at 12 p.m. Visit the Online Registration Page to secure your spot! There is no trial for the Learn 2 Train Program. Full program payment of $200 will be collected upon registration. The Learn 2 Train Program will consist of 15-20 hours of on-field training with FHBC certified coaches. Training schedules for each region can be found here. Visit the Learn 2 Train page of our website for more information! Still have questions? Contact Melody at melody@fieldhockeybc.com or 604-730-7220. 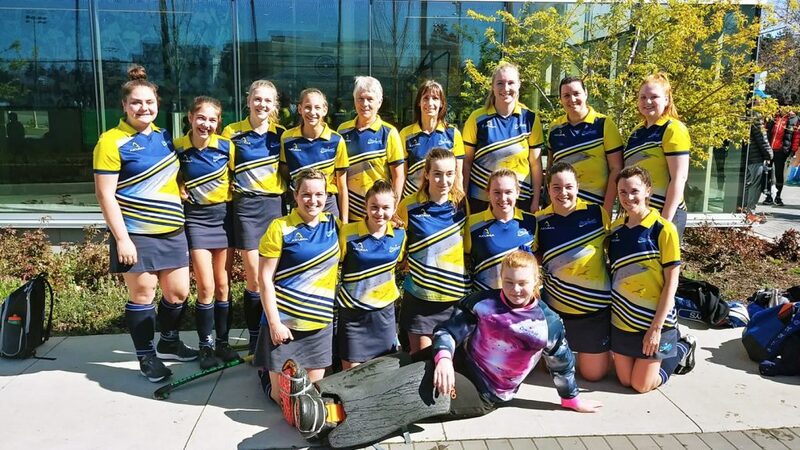 Field Hockey BC is coming up on our third and final weekend of Club Championships, with the U18 Boys and the U15 Girls rounding out the action this weekend! The U18 Boys Club Championships will be taking place at the Cowichan Sportsplex in Duncan, BC on June 16-17. We are excited to announce that live updates will be available all tournament long at https://fieldhockeybc.altiusrt.com/. Schedules, rules and field locations can be found here. The U15 Girls tournament is being held in Chilliwack, BC on June 16-17. The games will be split between two locations, Townsend Park and Chilliwack Secondary School. For schedules, rules and field locations, click here. These events would not be possible without the support of you and your volunteers. We would also like to thank all participating players, coaches and umpires for your hard work and dedication to our great sport.